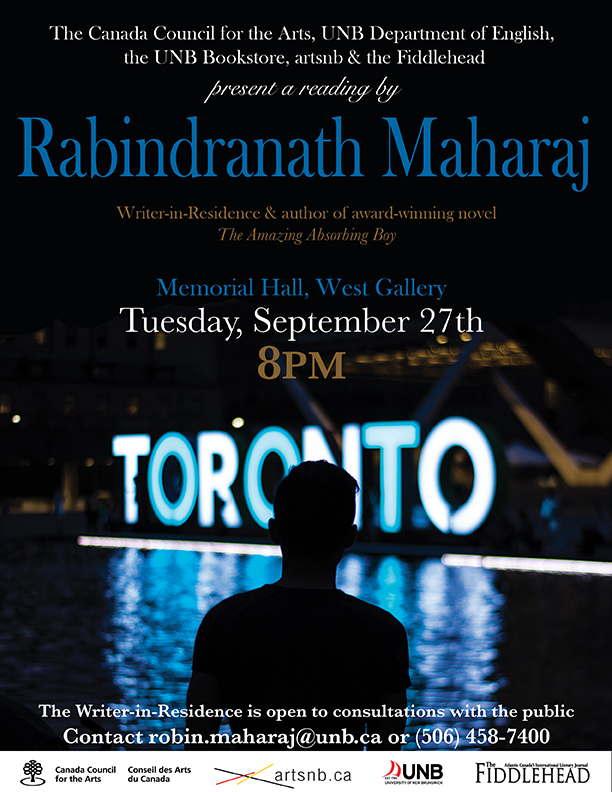 UNB’s Writer-in-Residence Rabindranath Maharaj will be reading from his work this Tuesday, September 27th at 8pm in Memorial Hall’s West Gallery on the UNB campus. The event is free and all are welcome to attend. Maharaj is a prolific author, with five novels and three short story collections. 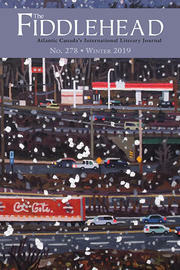 Maharaj’s latest novel, The Amazing Absorbing Boy, won the 2011 Toronto Book Award as well as the 2010 Trillium Fiction Prize, and has been voted as a CBC Canada Reads Top 10 books for the Ontario region. Other notable works by Maharaj include A Perfect Pledge, The Lagahoo’s Apprentice, Homer in Flight, and The Picture of Nobody. Maharaj immigrated to Canada in the early 1990s. He completed his second M.A. at the University of New Brunswick in 1993, and happily returns to his old stomping grounds as Writer-in-Residence this year. In 2013, Maharaj was awarded the Queen Elizabeth II Diamond Jubilee Medal, a distinction that recognizes significant contributions and achievements by Canadian citizens. The highly acclaimed author often mentors young writers who write diaspora dialogues, and has written for The Washington Post, The Globe and Mail, and The Toronto Star, among other publications. This event is presented by the UNB Department of English, the UNB Bookstore, The Fiddlehead, artsNB, and the Canada Council for the Arts.